'THE ZERO ULTIMATUM' part one! Dr. Omen's deadly first experiment, the original New Super-Man of China, frees himself! 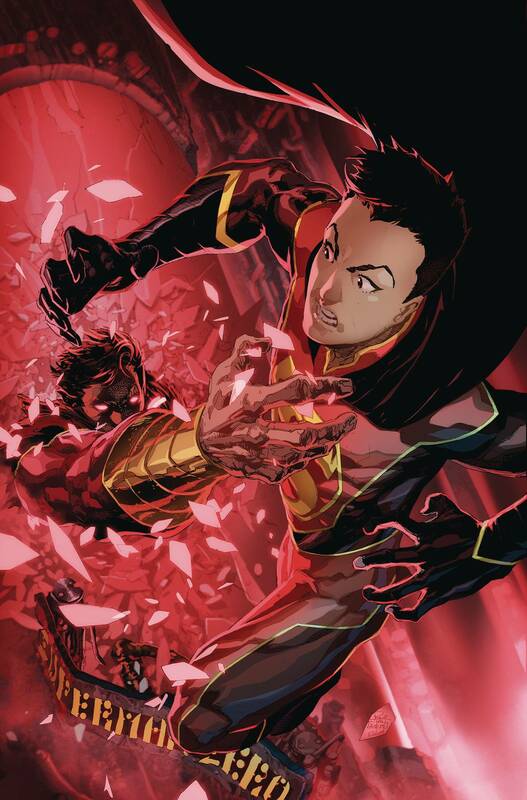 Kenan Kong may be learning to control his super abilities, but to survive an encounter with Super-Man Zero he'll need to learn faster! Plus, the shocking origin of the ultra-powerful All-Yang reveals a surprising connection to Kenan's teacher-Master I-Ching! RATED T Includes a code for a free digital download of this issue.